Radio Caroline will be broadcasting on 531kHz this Easter and Oliver Swain M0OFR will be showing and talking about its AM transmitter at the Chelmsford Amateur Radio Society (CARS). 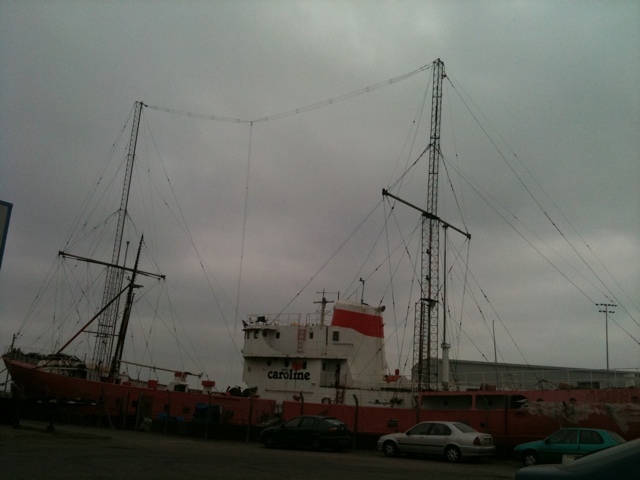 On Tuesday, April 5, he will explain some of the trials, tribulations and developments involved in building the homebrew transmitter for Radio Caroline. The talk has been cancelled. This Spring the Radio Waddenzee and Radio Seagull ship Jenni Baynton will once again drop anchor 8 miles out at sea. Like previous years you can visit the ship when she's offshore. You can meet & greet the staff, get a tour and experience life on board the last remaining, actually working radioship in the world for only 35 euro. Radio Waddenzee zal van dinsdag 31 mei t/m dinsdag 14 juni op de Waddenzee voor anker gaan bij vogeleiland "Griend". Ook dit jaar is het mogelijk het schip tijdens de offshore periode te bezoeken. De kosten hiervoor zijn € 35,00 p.p. Voor donateurs geldt een korting van € 10,00. MikeB wrote: The talk has been cancelled. That's a shame, although I wouldn't have been able to get to listen to it, I bet it would have been really interesting. It's a shame also that nothing like that goes on more toward this side of the Country. Last edited by Coastie on Mon Apr 25, 2011 9:49 pm, edited 1 time in total. great tracks - have a listen !